Sixteen year old Mana returns to her hometown to unite with her childhood friend after 7 years. But Kaname seems to have changed during their years apart. 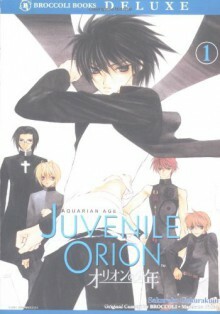 Mana's presence sets off a chain of events that changes the lives of Kaname and his best friend Naoya forever. Their classmates Isshin and Tsukasa, and their teacher Tomonori, find themselves drawn to her as well. They soon discover that they are all a part of the Aquarian Age - a secret war raging for thousands of years. Now the fate of the world hangs in the balance as one girl meets her destiny. One of my favorite series, highly recommend.